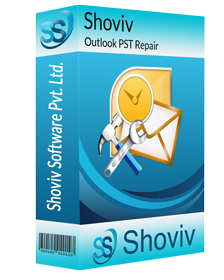 Shoviv Outlook PST repair tool is a groundbreaking PST to Office 365 migration solution. It lets you safely migrate PST files to Office 365 without any complex steps. It has been especially designed to simplify the migration of PST files to Office 365 so that even inexperienced users can get accurate results in email recovery and migration. It can also scan and recover corrupt PST files back to healthy PST. It is loaded with powerful features which make it the best tool to migrate PST Outlook to Office 365 server. You can easily migrate PST files to Office 365 server. 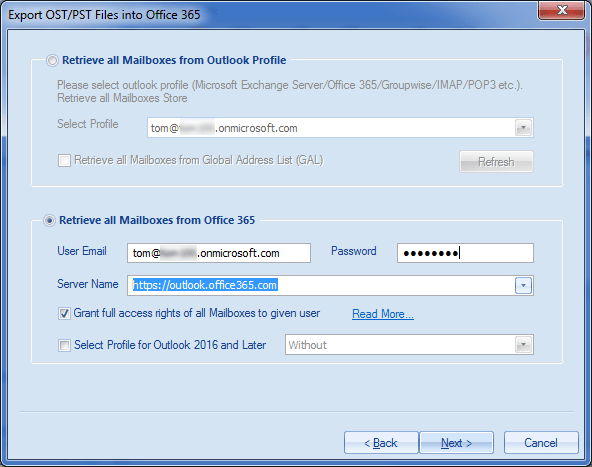 The tool comes with an additional feature to map PST files to Office 365 mailbox so that you can choose your desired Office 365 mailbox when required. You can also migrate single PST file to Office 365 Public folder and Archive Mailbox. Shoviv PST Repair tool also facilitates to maintain the folder hierarchy and preserve it accordingly. Thus, one should not worry to misplace in fact any single item during the process. The only requirement is to simply follow the easy steps and further, the tool keeps handling all the rest process. The software has no limitations on how many files you can add. You can easily repair and recover PST files without affecting the performance. This makes bulk conversion possible for those who want to migrate PST to Office 365. Even if you have a large file, you don’t have to worry about the safety of your data. 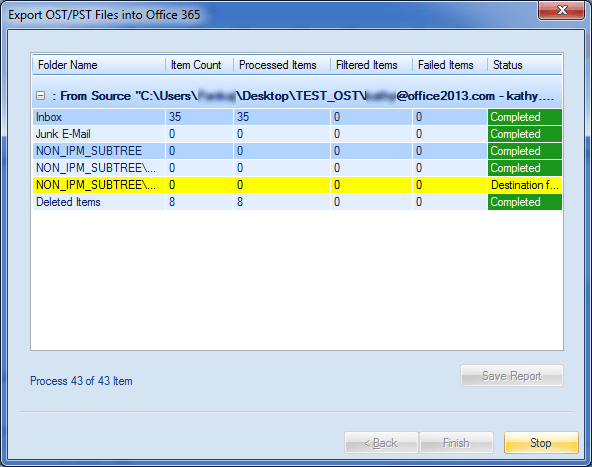 Shoviv Outlook PST repair has the ability to save the recovered PST files in multiple email formats. This gives a lot of flexibility to the user so that he can use the saved data in different Client. Once you have recovered the PST files, you can save them in EML, MSG, RTF as well as HTML format. 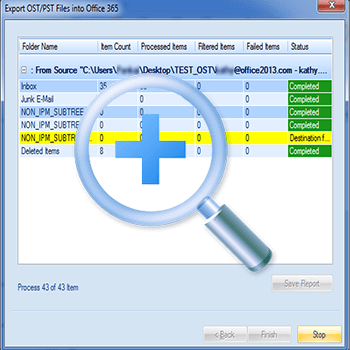 Shoviv Outlook PST repair tool allows you to filter PST file items according to different criteria. You can filter items according to item type and also according to multiple date ranges. This gives you additional control over your PST to Office 365 migration process. 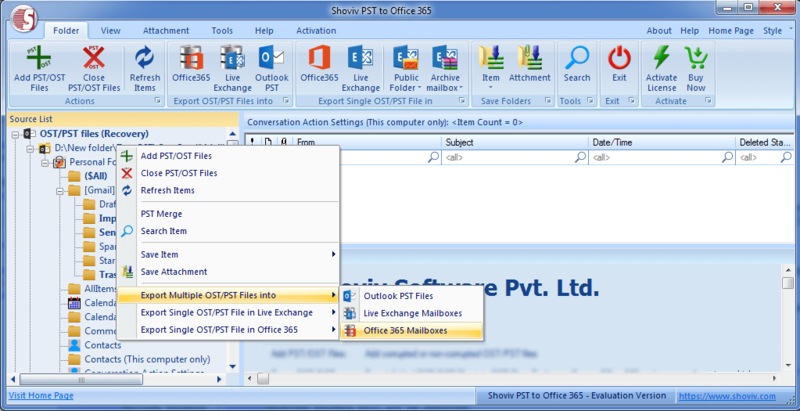 You can now also migrate PST files to Live Exchange server. 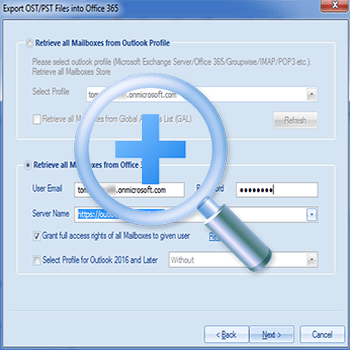 The tool also facilitates to retrieve your mailboxes from Outlook profile. You can also choose target mailboxes to map them with source PST files so that there is no confusion after the conversion has finished. The tool is able to repair PST files to new healthy PST files. You can also split large PST files to smaller PST files using the file split feature. So if you have a large PST file which is 20 GB in size, you can split it into 10 smaller PST files of 2 GB each. The tool also lets the users know the current status of the conversion. You can save the status report of the conversion to analyze later. This is to ensure that you are up to date about the conversion process and don’t miss anything out. The complete conversion report can also be saved after the process is over.